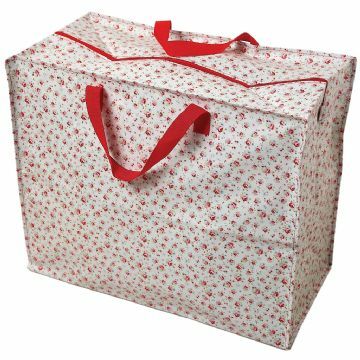 A jumbo storage bag in a pretty rose design, perfect for storing bedding, clothes, shoes, or use for laundry or the beach. Ideal for holidays on boats or in caravans, or to tidy up toys. Strong, pretty, and practical.